The student government association (SGA) community outreach program held on Saturday, 28th July 2018 was successful. 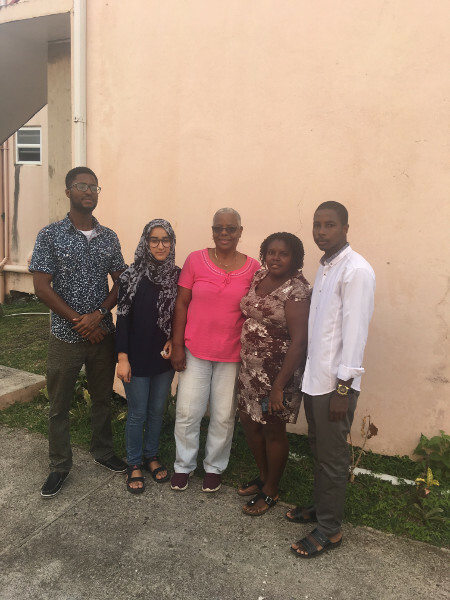 Members of the SGA visited the New Beginnings Transition Home, Cas en Bas, St Lucia. We met with the children resident at the home who were very excited to see us and we interacted with them. We played games which were fun and recreational. We were not aware of the passage of time. The children were talented in many different areas. One of the children, Faith was very talented in singing and has great leadership skills. We took this program initiative to support the St Lucian community in growing her children with love, care, education and with basic items needed for daily living. The SGA student office members wishes to express their profound gratitude to all the staff and students of AIMU for their continued support. We hope to conduct more outreach programs in the future.